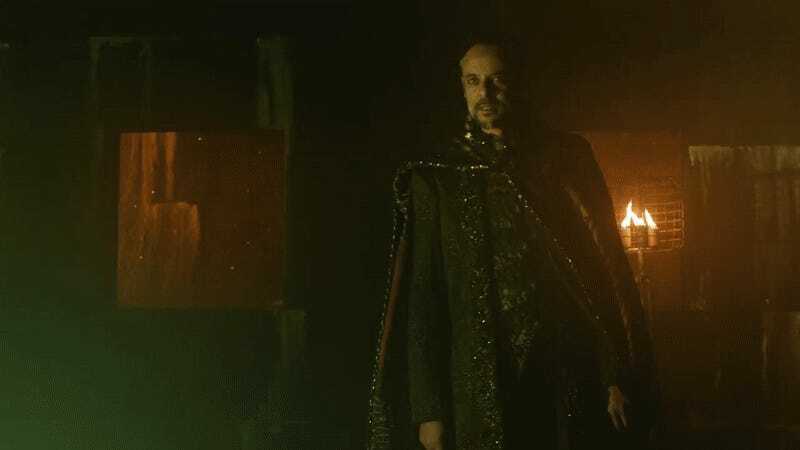 We’ve known for a while that the Demon’s Head himself would be coming to Gotham—as well as the fact that Game of Thrones and Deep Space Nine star Alexander Siddig would be playing him. Now we’ve got our first look at him in action, and for Gotham, it’s surprisingly an on-point comic book look for Ra’s al Ghul. Released today, this new behind-the-scenes video sees Siddig (seemingly half still-in-costume, judging by the two-tone hair) and other members of the cast discuss Ra’s arrival on the show, as well as our first glimpse at him encountering Bruce. We’ve been excited for Siddig’s casting pretty much since the moment it was announced, but seeing him in action—and in a pretty faithful get-up to his classic appearance in the comics—is damn cool. Ra’s al Ghul makes his full debut in Gotham’s season finale next Monday, June 5.